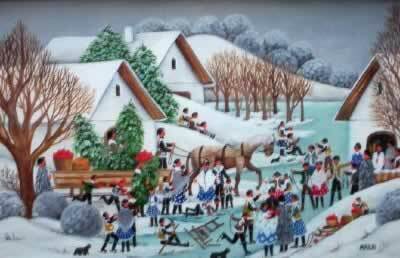 Hedvig Makai was born 1940 in Hungary. She has been habitually painting since 1971. 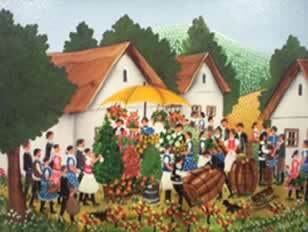 Almost every picture by her recalls life in the village: the wedding march, the vine harvest, Christmas, several external natural enviroments and interiors. Makai has had many exhibitions in Hungary and abroad. 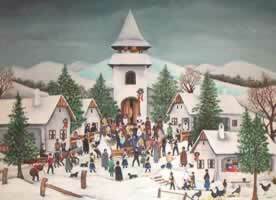 She is the most popular naive painter from Hungary in Japan. Her paintings may be found at many private collections all over the World. Csilla Szabo's favorite and beloved artists.